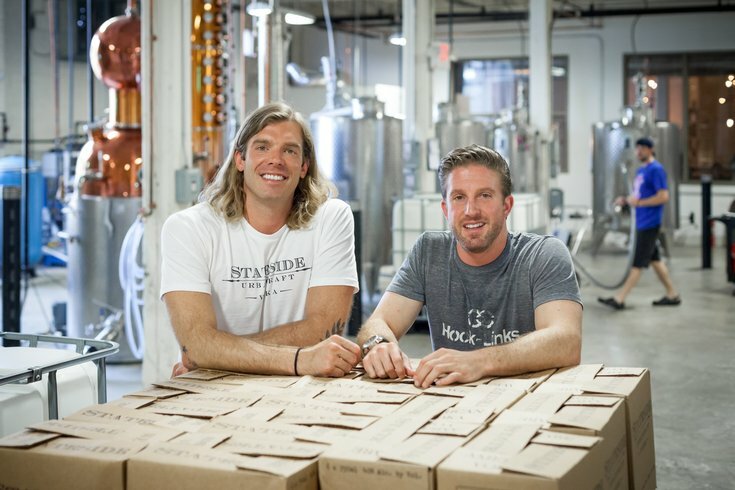 Federal Distilling owners, brothers Matthew Quigley, left, and Bryan Quigley. While many thought that they day would never come, the PLCB is finally loosening up its stringent regulations. This brave new world of Pennsylvania drinking means that now beer and wine is available for purchase and consumption at select supermarkets and local distillers can sell their wares in-house and through tasting rooms and bars. Here’s a look at where to find some of the best booze within city limits. The newest addition to Passyunk Avenue’s cocktail scene is a combination bar and bottle shop from the folks behind Pottstown’s Manatawny Still Works. In addition to a lineup of cocktails made from their whiskies, gins, rum and vodka, local beers and wines will be flowing. Joan Veratti, South Philly’s very own after-dinner drinks specialist has been riffing on limoncello since 2013. During weekend tastings, sweet samples of her ‘cellos are pouring in flavors like lime, orange, mango and banana cream. Swing by this one man distillery on Saturday afternoons to sip Liberty gin and chat with the brains behind it. Palmers’ six ingredient recipe incorporates exotic herbs like grains of paradise and angelica making for a floral gin that works equally well in a G&T or a martini. Since 2005, this local maker has been a small batch pioneer, beginning with its American style Blue Coat gin. 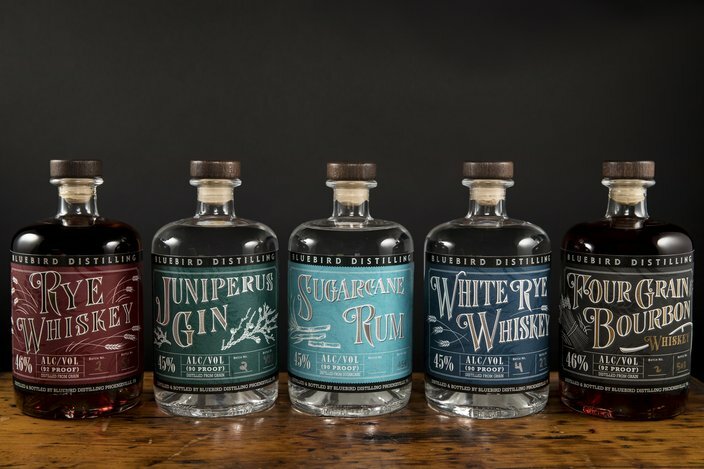 This year, Philadelphia Distilling has expanded the operation into a stunning distillery and cocktail bar where guests can tour the facilities and have a few cocktails. Dean Browne is making a remarkable array of spirits in his Fishtown workshop. Swing by on Thursday, Friday and Saturday afternoons to taste his takes on aquavit, coffee liqueur made with ReAnimator beans and a uniquely Pennsylvanian amaro. Phoenixville’s Blue Bird touched down in Center City this summer, opening up a tasting room on the ground floor of Liberty Place. Here, you can sample juniper forward gin, White Rye whiskey and Sugarcane rum before grabbing a bottle to take home for happy hour. In Olde Kensington, New Liberty is aiming to bring back Pennsylvania’s once booming whiskey industry. Vintage recipes are being resurrected from long shuttered distilleries, making for an intriguing liquid history lesson. La Colombe’s buzzy Fishtown flagship is also home to a micro distillery that’s putting out bottles of coffee-infused rum. Super smooth Different Drum can be enjoyed on its own over ice, or worked into a cocktail at the bar. This full service bar and small bites spot takes advantage of the neighboring Stateside distillery by offering a menu of exclusively vodka-based cocktails. Although bottle service isn’t all that common in this part of town, at Federal, you can live large and order a bottle for the table. Single malt whiskey and a moonshine-inspired rum are on the roster at Red Brick, but the real draw here are some of the more "out there" offerings. Simple Shine pineapple rum gets its tropical notes from a soak in fresh fruit while From the Woods birch beer harkens back to the Pennsylvania Dutch favorite.